When you become a mother you take on multiple roles. Not only are you a parent; you become the snack fetcher when the kids are hungry, the comforter if they wake in the night, the home work helper, the problem solver, the taxi driver, the occasional nurse when they’re poorly or have hurt themselves, the list is endless. 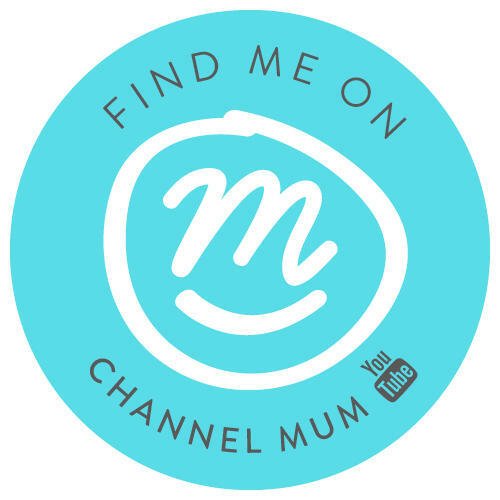 Mum’s roles are ever evolving and never ending. We all know it’s such hard work being a mum and at times it’s hard to show just how much it’s appreciated which is why I love Mother’s day. 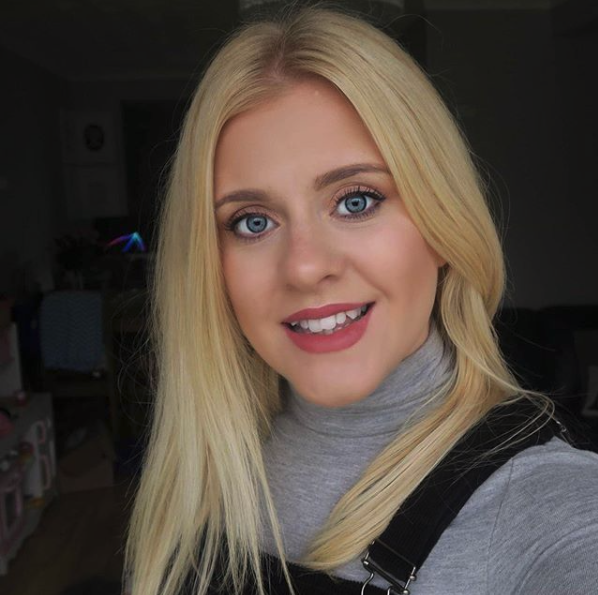 Obviously we should all show our appreciation throughout the year but I love that there is one day devoted to mums, to let everyone know just how much we love them and all they do. There’s no better way to show that than with a gorgeous card which is where Hallmark come in. Hallmark have been creating and crafting cards for over 100 years to mark every occasion. Hallmark cards are stocked across the globe and can be found in several supermarkets and shops, along with Independent stores. However, not everyone is aware that Hallmark cards can also be purchased from their online store hosted on Amazon. I know, I didn’t know this before now either! As an avid Amazon shopper I am so happy to see I can order online, get my items delivered next day and have my gift all ready to go. Life is always going at 100 miles per hour for me so having the option at the end of your finger tips is one less thing to worry about. 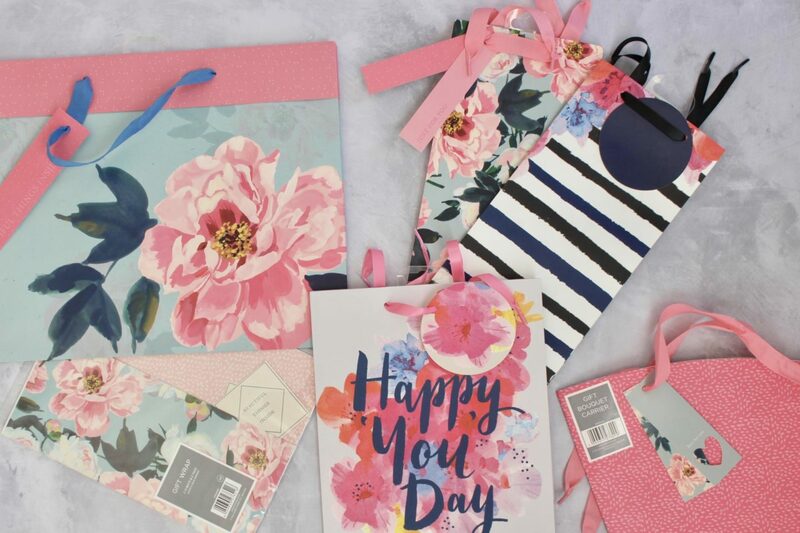 Online you’ll find the same huge range and selection you would in-store for cards and gift wrap/gift bags for every occasion. I picked up a little selection of items for our families to celebrate Mother’s Day. 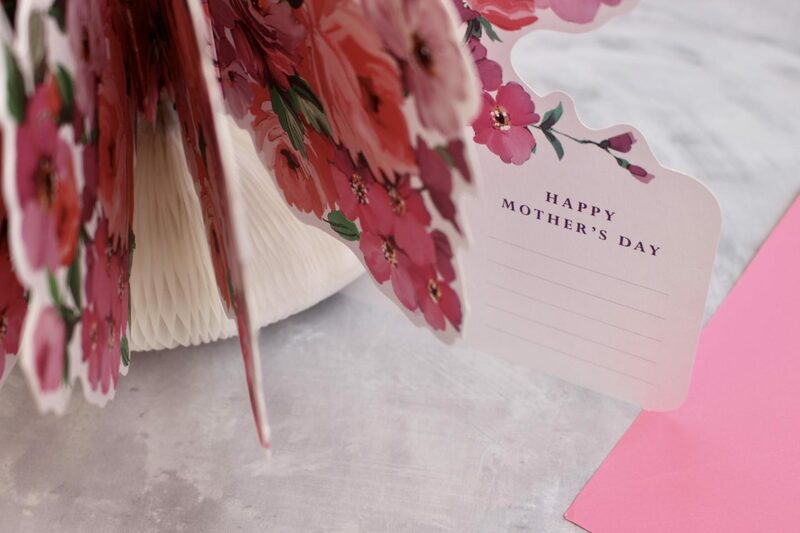 I adore this pop up flower bouquet card, the perfect way to send some ever-lasting flowers to your mum. I though it was really cute idea. Pop up cards needn’t just be for children! For me it’s all about the gift wrap. Pretty wrapping will take a gift to the next level. Even a bottle of mums favourite ‘grown up drink’ can be taken care of with the lovely bottle bags. Also love the Bouquet carrier bag, trust me its practically impossible to nicely wrap a pot plant, these bags are perfect. 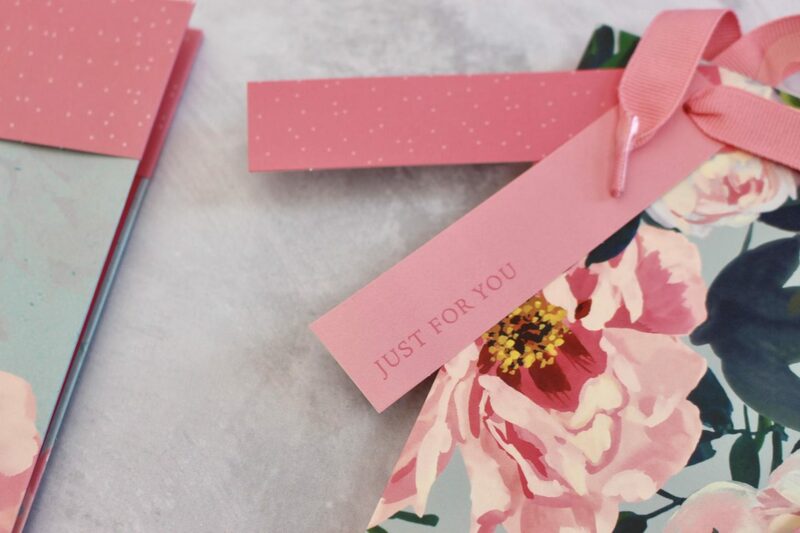 Have you got your Mother’s Day card and gift wrap sorted yet? Fear not Hallmark have got you covered check out their amazon store and see the full range here. 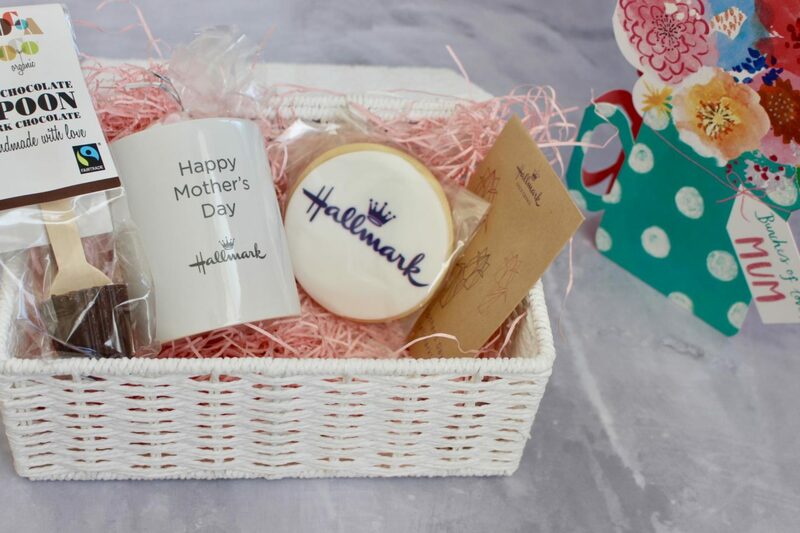 Hallmark sent a super cute little basket to show some more of the Mother’s Day love – Thanks guys I cannot wait to cosy up and have a hot chocy with this! This is a collaborative post with Hallmark. All thoughts and opinions are my own. Such a great idea for mothers day. Love it! Wow! I’ve been looking for a perfect card for Mother’s day and I am so glad I bumped in to your blog. Thanks for sharing. I love the Hallmark store! Glad to see it’s still around! Although we live in a digital world, a card sent through postal mail can mean a lot to most of us. I usually buy perfumes to my mom, but this is a nice idea too ! Aw hallmark is always a fabulous way to go! Thanks for sharing! I actually had no idea you could get Hallmark cards on Amazon. This may be the best thing I’ve learned all day. Happy Mother’s Day!! Hallmark really does do beautiful cards. I always want to give a nice card because I feel it highlights the personal message inside, but all too often it becomes too difficult to find at the store and I end up with some generic piece. Hallmark always have such amazing cards and gifts for different occasions throughout the year. They are such a fantastic and prestigious brand. 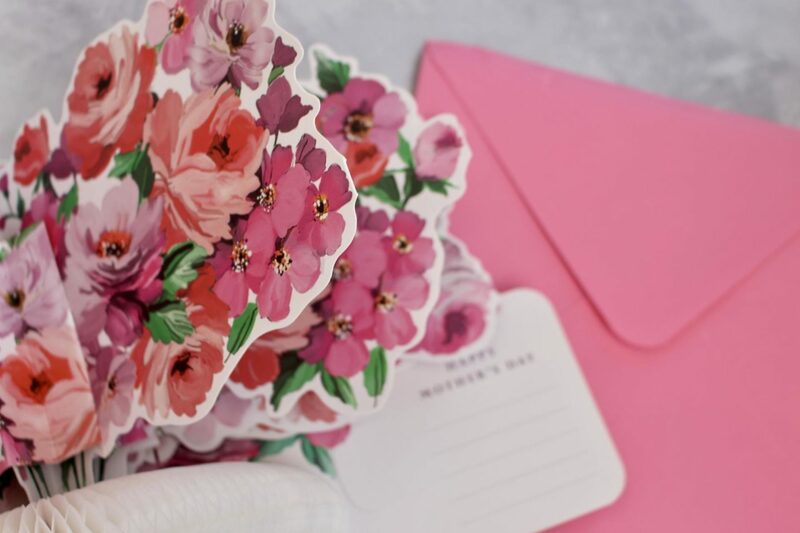 Hallmark is always with me in every occasions and on this Mother’s Day I will make sure that I have a lot of it to give not only for my mother but also to all mothers that are closes to my heart. I used to love shopping at The Hallmark store by my old home in Illinois. Now that I think of it, there may be one nearby, I need to hit one up and get some of these items, I just love the look of this basket! I really love going to Hallmark. I love crafts, cards, and gift ideas. That was such an amazing idea. Greeting her and expressing your gratitude for her through a card is really something special. I always love hallmark cards and mother day is the best time to write some important notes to mom. Super love these cards, they are so cute and elegant, perfect for mothers day. Thanks a lot for sharing. I’ll have to visit the Hallmark store before Mother’s Day; they always have the most thoughtful gifts and cards! Glad to hear that they added a new option where we can order it online. I like Hallmark Cards because of the cuteness and sweet message for every cards. Perfect for Mother’s Day Celebrations. What a lovely gift idea. Every mom would be so happy to have this on a very special day. Gorgeous cards for mom…I love Hallmark they always have a beautiful selection for every occasion. Have a wonderful Mother’s Day! 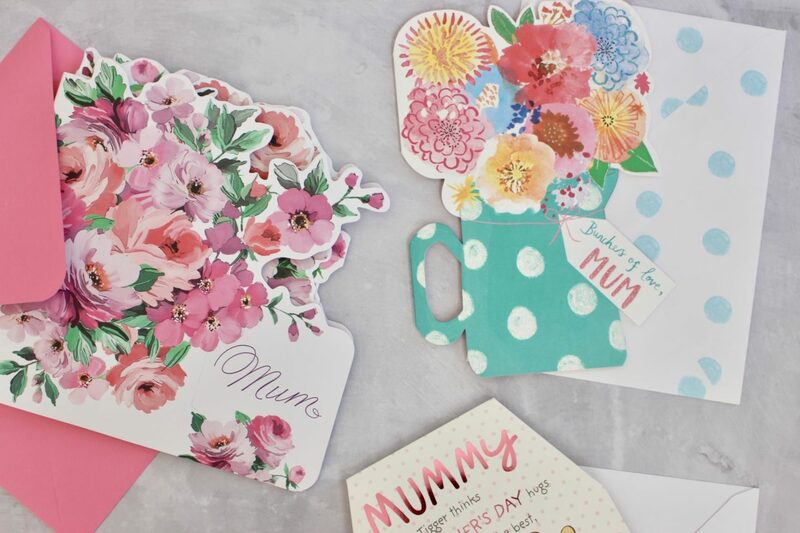 We love the patterns and prints on these cards and it would be perfect for my mummy. You’re right gift wrap really makes it for us! Hallmark always has the best things for every occasion. It’s always so cute too! Love their cards best.